In 2014, Canada’s federal government created a competitive, commercial industry of licensed producers (LPs) approved by Health Canada to grow and distribute cannabis for medical purposes. At the time, newly approved LPs were focused on building facilities, growing a reliable and consistent supply of products, and attracting investors to this dynamic, nascent industry. Fast forward five years, and the cannabis world is already a very different place. Yes, growth and product development and investors remain at the centre of much of the cannabis conversation but, in many respects, frenzy has given way to form and function. The first blush of an entirely new industry has receded into an increasingly sophisticated marketplace characterized less by promises and more by a company’s ability to deliver against plans and produce profits. 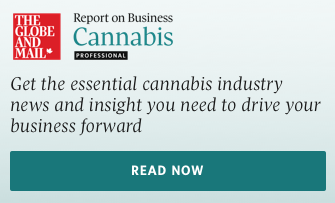 A sure sign of the cannabis industry’s ongoing evolution has been its – and its investors’ – increased focus on the importance of good corporate governance. We see clear examples of this across Canada’ cannabis industry. Indeed, late in 2018, The Globe and Mail, as part of its annual ranking of corporate boards, highlighted the challenges facing those charged with overseeing Canada’s cannabis companies. Lack of formal board performance reviews and diversity policies, questions related to the independence of the companies’ boards and the need for director education programs were among the concerns raised. So what are the hallmarks of solid performance, particularly in an industry that’s just getting its legs? What should investors look for when evaluating their options? What kind of things should factor into a realistic valuation of cannabis companies and opportunities? A few essentials come to mind. Cannabis companies have had a long time to trade on forward-looking statements and promises, without revenues and earnings to support them. Now, it is important to assess if a company can fulfill its obligations to customers and shareholders, delivering on projected supply and revenue. Past public statements related to revenue and production offer some clear indication of how a company’s financial narrative has evolved over time – and how successfully they have predicted their own performance. Is the board able to assess the wellbeing of the company objectively, ensuring decisions are made exclusively in the best interests of the company? At Organigram, for instance, we have an independent chairman (versus one of the company’s founders) and all of the members of the board (expect for the CEO) are independent directors. Is the compensation of the executive team reasonable or extravagant? How are incentives such as executive bonuses tied to performance and delivering value to shareholders? How much of this process and decision making is disclosed? In a new industry, these benchmarks might be hard to find, but they are critical pieces of the governance puzzle and indicators of thoughtful company oversight. For example: Gross Margins, EBITDA Margins and costs such as Selling, General & Administrative expenses (SG&A). Is the business being run as a profitable and sustainable enterprise? Similarly, has there been a reasonable investment in marketing and promotion – or conversely smoke and mirrors strategies designed to aggressively support share pricing with little evidence of substantive, long-term performance? And the list goes on. As in any industry, there will inevitably be governance growing pains. Likewise, there will be corporate casualties as Canada’s cannabis industry continues to evolve. But the future also holds tremendous opportunity for Canada’s LPs to adopt good governance policies and model best practices to other local industries, and the global cannabis community who continues to monitor – and learn from – our success and challenges. Greg Engel is the chief executive officer of Organigram Inc.